Founded in Kyoto in 1949, Sanyo Chemical Industries Ltd. is a producer of performance chemicals such as surfactants, high water-absorbent resins, lubricant additives, pigment dispersants, and polymerization toner intermediates. Sanyo Kasei (Nantong) Co., Ltd. (SKN), a subsidiary of Sanyo Chemical Industries, was established in 2003. From its facilities at the Nantong Economic and Technological Development Area, SKN produces performance chemicals such as pigment dispersants, emulsifying surfactants, and glass fiber adhesives for high growth markets in China and elsewhere in Asia. Since 2004, SKN has relied on a Yokogawa CENTUM CS 3000 distributed control system to monitor and control its batch production processes. 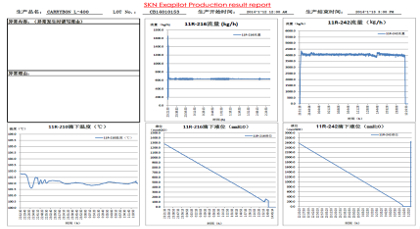 To improve the quality of the pigment dispersants produced at the SKN plant, and to raise the productivity of this batch production process, the company introduced Yokogawa's Exapilot operation efficiency improvement package. This is an innovative electronic standard operating procedure (e-SOP) system that draws on the knowledge and experience of skilled SKN operators. Functioning much like a car navigation system, the Exapilot e-SOP system displays the procedures for each operation on a large-screen display in the plant's control room, providing less experienced operators the guidance needed to standardize work processes. Transferring knowledge to less experienced operators and improving their skills are common challenges worldwide, and is key to keeping plants operating safely and securely. The great variety of products and the many different recipes that are used at the SKN facility present a particular challenge. For example, there are approximately 30 different recipes for the production of the company's flagship product, the Carrybon L-400 pigment dispersant, and this process makes use of multiple reactors and tanks. Before the introduction of Exapilot, less experienced operators often had to consult manuals and ask production line managers for assistance when, for example, the flow rate dropped as the result of a clogged pipe. Situations such as this added to operator workload and led to a drop in product quality. At the suggestion of Kazutoyo Kato, who was then the production manager at the Nantong factory and who had learned about Exapilot in a visit to the Yokogawa Shanghai office, SKN decided to use Exapilot with its pigment dispersant production process. With the Exapilot system installed at the SKN plant, the plant's engineers began collecting information about specific processes and other knowledge from their veteran operators. Based on this, they began inputting this information into Exapilot flowcharts. Throughout this process, Yokogawa's Exapilot experts frequently visited the SKN office to provide support. At many plants, operators have access to both the DCS and Exapilot windows at their terminals, and refer to the information provided in the Exapilot window to guide them through a process. However, because of the complexity of the production processes at the SKN plant, there was a concern that the use of both systems at these terminals would place too much of a burden on the operators. It was therefore decided to implement Exapilot as an e-SOP system that starts up automatically when the CENTUM CS 3000 system launches a batch production process. 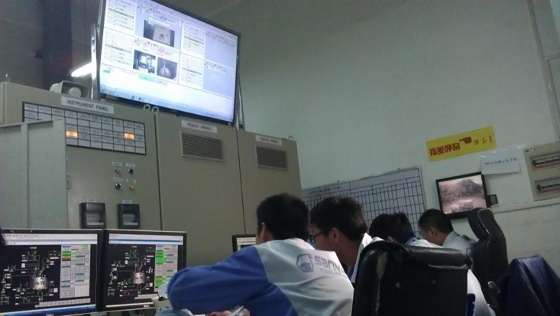 Monitoring the process via an Exaopc interface, the e-SOP system displays the correct procedure on a large screen in the central control room. Operators thus have all the information needed to issue the right commands to the CENTUM CS 3000 system and correctly carry out the process. By clicking the appropriate item in the Exapilot window, they can also access all necessary documents and image data. And when an alarm occurs, Exapilot navigates the operators to a quick solution. As a result, procedures have been standardized, product quality has been improved, paper documents have been digitized, and operator workload has been dramatically reduced. Exapilot has helped to improve the overall skill level of operators by giving younger operators access to the know-how and expertise acquired by their more skilled and experienced colleagues. 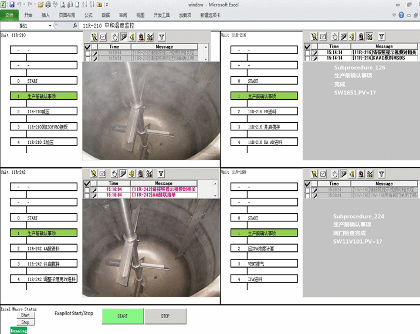 Moreover, to ensure traceability and enable the detailed analysis of data for each batch production process, Exapilot automatically reports data on flow, level, reactor temperature, problem causes, and operator inputs. One must frequently switch between CENTUM CS 3000 screens when monitoring and controlling complex batch processes that use multiple reactors, and this is a challenge for less experienced operators. 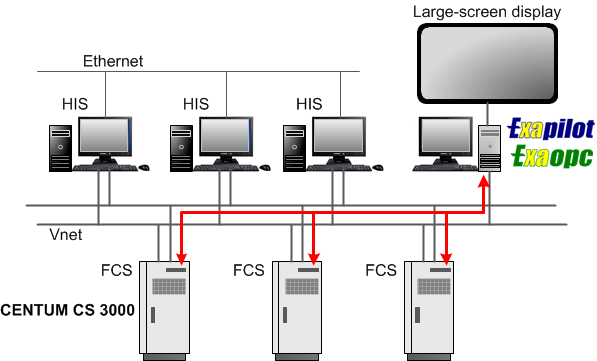 To address this issue, Yokogawa engineers were able to create customized screens that use ActiveX controls in Excel to display up to four workflows at one time. Operators are thus better able to stay on top of simultaneous related processes, improving both ease of use and efficiency. 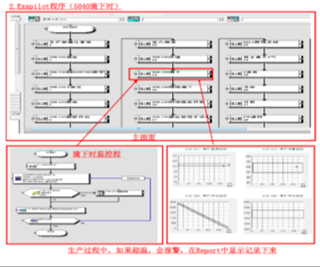 Taisuke Ishida, a Yokogawa Exapilot engineer, had the following to say about this feature: "We were able to get four windows to refresh at the same time by using Microsoft Excel macros and ActiveX controls. In addition to giving us the information we need to safely operate the process, we also can monitor the overall progress of the production process and view other data that is not stored on the DCS, including photos of materials that are to be charged and real-time video feeds. Exapilot is a useful tool that guides the operators through complex processes." Problems with variation in product quality with SKN's pigment dispersant production process were resolved: in the year preceding the introduction of Exapilot, the plant reported 10 product defects; in the following year there were zero defects, a 100% product quality rate. In addition, standard production time was reduced 10%, a significant increase in productivity. 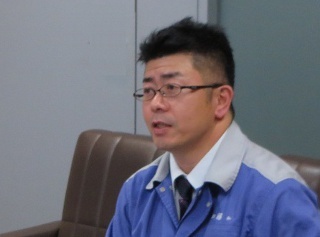 Mr. Kato: "At SKN we called Exapilot the "mother's love" system because, like a mother with a child, it is constantly at the side of our less experienced operators, giving them the help they need. With only basic training, a newcomer can perform standard operations. This also frees up the production team leaders so that they can devote their time to more high-value added tasks." He went on to say: "We built a good relationship with Yokogawa after the CENTUM CS 3000 system was installed in 2004, and were like brothers: we communicated well with each other and I felt free to speak my mind with them. Yokogawa understood Sanyo Chemical Industries' unique production policies, and helped us construct our system. In addition to helping us improve product quality, Yokogawa helped us localize our operations by providing engineering training to Chinese nationals. The mother's love system, so to say, is a system that our local staff built up on their own, in collaboration with Yokogawa."